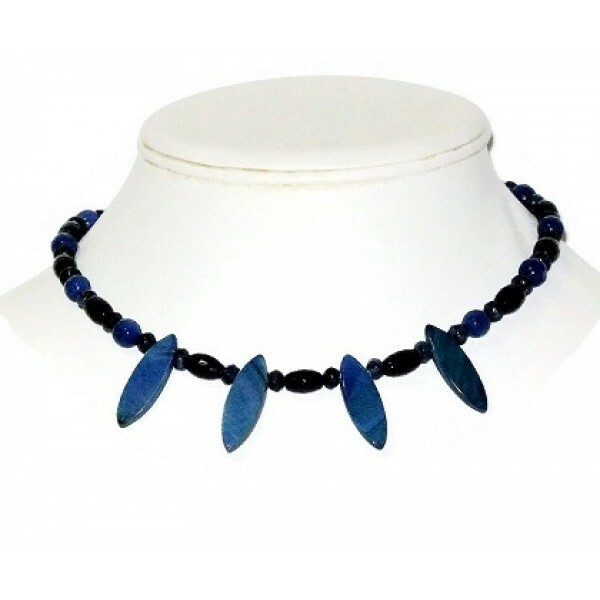 Feel fashionable wearing this unique expandable dark blue choker. 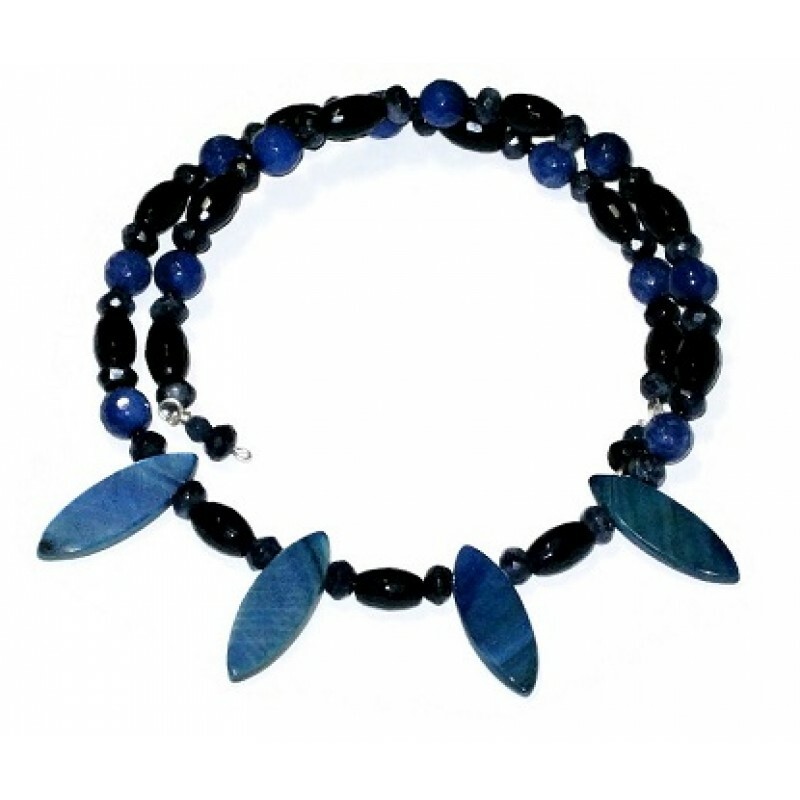 This choker consists of faceted jade beads and marquise-shaped mother-of-pearl beads. This expandable choker features a Sardonyx Agate pendant accented with Swarovski crystals, faceted c.. These elegant earrings consist of keshi pearls, Swarovski crystals and cats eye beads. They co..